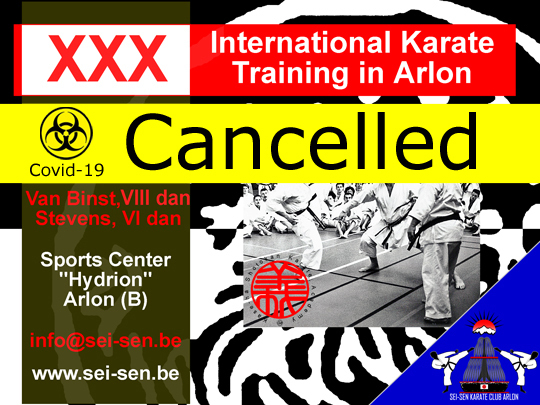 The Sei-Sen Karate Club is proud to be able to organize its XXIX International Karate Session in Arlon. You will find below (after the poster) all the necessary information to take part in it. All the training sessions will be held at the Hydrion Sport Centre in Arlon. - 1st training from 12 to 13:30. - 2nd training from 14 to 15:30. II. How to join us ? In our heading "Contact us", you will find there the exact coordinates of the Sport Center. Brussels Airport 190Km Train on the spot ! Belgian, French, German and Luxemburgish. For any question, please, feel free to ask us !